Sneezing? Runny Nose? Eyes water? Skin Irritations? ... Allergies! Allergies can make you miserable. 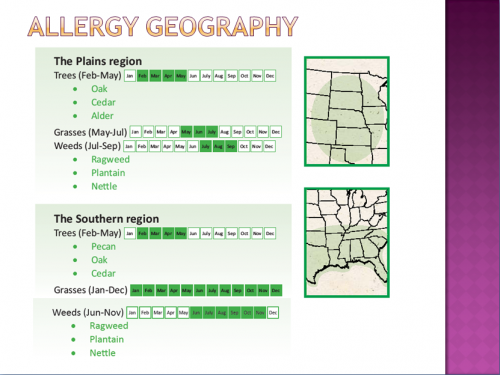 And each year seasonal changes, pollen, grasses and molds cause hundreds of thousands to suffer from allergy symptoms, especially in Missouri! Many people don't know however that there are many natural methods available using homeopathic medications, nutritional supplements, herbal remedies and whole food nutrition. Alternative and holistic methods support your body's normal immune and inflammation systems. Abnormal immune system and liver function cause you to have lots of inflammation creating the symptoms of sinus inflammation / infection, itchy / watery eyes, runny nose, sneezing and skin irritation / rash. Alternative and holistic methods improve things like your liver or immune system function which in turn can reduce your body's expression of allergy symptoms. Submit it today to recieve a FREE phone consultation with one of our doctors. When you use prescription or over-the-counter medications, the drugs try to bombard your body's natural processes and chemistry to mask your symptoms, leaving the cause unchanged and you at best feeling a little better until your next dose. The fact is that symptom relief has become a HUGE business because the drugs don't cure anything. Instead of helping consumers fix the cause of their allergies ... they make separately packaged and sold products for individual symptoms forcing you to buy multiple products for the eyes, throat, sinuses, etc. which you will need again once they wear off. 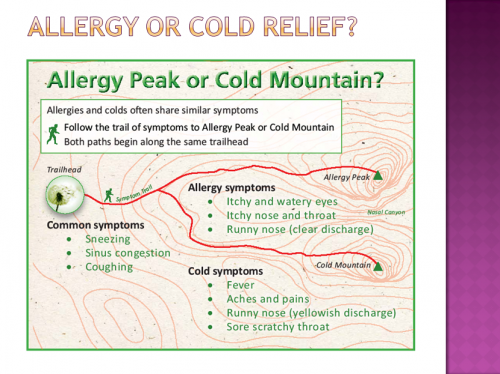 Don't worry ... if you use OTC or prescription allergy relief you will have another chance to make a choice which could fix your problem ... once the drugs wear off!!! 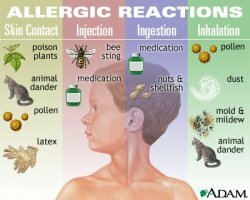 Allergies express themselves in many ways and produce a wide variety of reactions within our bodies. Maintaining a healthy immune system and liver can allow your body the best possible chance at handling the things that cause you allergic responses.